The Inviting Pear Photoblog: Spare the Date! Engagement photos at a bowling alley with a Mad Men feel? Yes, please! When Lauren, wedding coordinator at Austin In Style Weddings and Destinations, approached me with her vision, I couldn't have been more excited. I mean, Lauren and Rob met bowling! How perfect is that? I designed save the date magnets that stated "Spare the Date" to play off of the bowling theme. 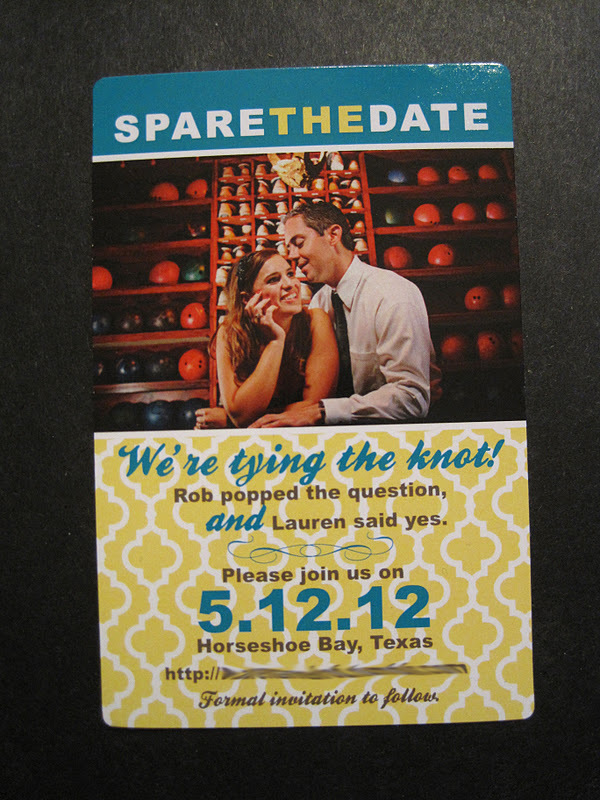 Using retro fonts and a modern pattern, we updated the classic (and sometimes traditional) save the date magnet. I mean, really, how could I go wrong with this lovely engagement photo? !